A while back in class, we talked about the effects of worms had on the learning student, and the effects medication had on “wormy kids”, and studies showed that kids without worms tended to do better in school than kids without worms. This reminded me of a disorder with similar effects in learning. Attention Deficit Hyperactivity Disorder is a disorder that affects memory, attentiveness, and behavior. Many believe that it is just a disorder for children, and some believe it is a fake disorder altogether. Unlike the worms, this disorder has no easily physical symptom hat makes it easier to understand. The worms were easy to understand as the worms were physically there, effecting the children. But a mental disorder which no one can see without a brain scan is much more difficult to understand, and this goes with many mental disorders. When someone has a cold, people can see they are unwell. When someone has depression, people just see the lethargic person struggling to get out of bed for no visible reason. Here is the visual representation of ADHD, showing the brain activity of someone with ADHD and without. 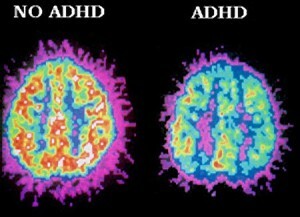 Of course, people cannot see this difference just by looking at someone with ADHD. Some who have worked with mentally ill people before can recognize behavioral differences, but no one can certainly tell if someone has ADHD without being tested and diagnosed, and this goes for any mental disorder as well. Now while there is physical proof of people having the disorder, some claim ADHD does not need medication. As someone with ADHD, and spent over a year struggling with the disorder without medication, I could say that from experience that medication has helped, but again some require visual proof. 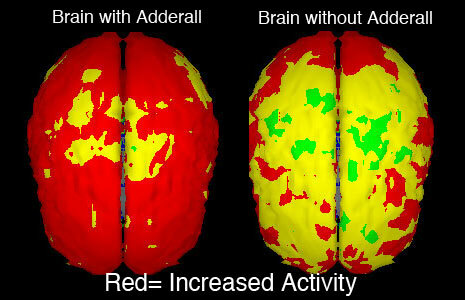 Here we can see that medication, specifically Adderall, does increase the lacking brain activity caused by ADHD, which is the medication I used to be on for quite a long time until switching to something better suited for me. Without medication, I can say for certain that I would not have been able to be in this college. I probably wouldn’t have even thought to apply, knowing I wouldn’t be accepted with my academic performance. My fourth grade teacher told my mother some children were not made to be successful, and she did not believe I had a disorder. She thought I was just a failure, and I thought so too until I was diagnosed and received medication. My grades went from C’s to all A’s, the time it took me to complete homework went from 3 AM to 8 PM every night, and I no longer had to make other students wait for me to finish taking notes because it took me so long to write. Before taking my medication, my failures made me suicidal. I wished to die at eight-years-old because my brain functioned differently and i believed it was my fault, but now I realize that my brain had a chemical imbalance; my brain simply did not produce as many neurotransmitters as others, and this medication make my brain make more. This disorder does not only affect children, but rather the symptoms begin to show at a young age, and typically children do not know how to control hyper activity as easily and school work tends to demonstrate inattentiveness than a job. For instance, it is much easier for a child to begin to zone out in class than a teen who is working at fast food. Many jobs have varying tasks that must be completed, and these tasks help stimulate the mind way better than sitting in class for hours would. Also, classes today require more at a younger age. Books that were required to read in later in high school are now required books for older middle school children. When I had to buy my required summer reading books in junior year, my mother’s boyfriend said that he didn’t have to read that until college. 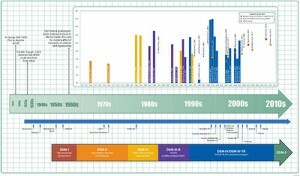 The advancement in medicine has also caused the frequency of diagnosis in this disorder, as well as others, to spike. With better information on how to recognize a disorder, the diagnosis will go up. 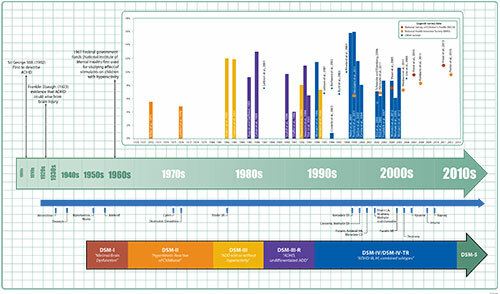 ADHD has always been this common, it has only just now become more easy to diagnose and treat. As we begin to recognize these symptoms, we are also able to diagnose this disorder earlier in a person’s life so they do not have to suffer through life with an undiagnosed disorder, and children can hopefully live a relatively normal life virtually without worry. With large amounts of un-engaging school work and the advancement in the ability to recognize this disorder, ADHD has become more commonly diagnosed. With these situations, it would appear that the disorder is only found in children, and is being at least exaggerated as this disorder was not diagnosed as often in the past, but that simply isn’t the case. ADHD does exist, the medication does help, and people are being more frequently diagnosed today is because doctors are able to diagnose people better and with more accuracy as science evolves. This entry was posted in Uncategorized on October 17, 2016 by Savannah Stalnaker. I have a similar situation as you do with ADD medications. I now take Vyvanse, but previously took Adderall. I found that taking my Vyvanse daily made a massive difference in the student I am. I can notice a lack of activity in my brain on the days I don’t take medication because I’m not nearly as involved in tasks as when I am on medication. I began taking medication at a crucial point in highschool, junior year. I was able to maintain my focus on the ACT’s while do well in school. I had always been off task in class, but my teachers noticed a significant difference in my participation after I started taking medication. It feels that sometimes I need the medicine to complete my work, but I just think a lot more about the topic when I take it, and this makes a big difference. I also noticed that I did simple tasks much quicker and improved, such as organizing my room or playing video games. Although I worry there will be negatives to taking attention drugs, they have proven to contribute to improving my performance in everyday things.